In the world, every person is lonely and incomplete without love, that is the reason that from girlfriend to wife or boyfriend to husbands, they love only love. Well, if you feel that people have taken full tender of loving love, then there is no such thing, because animals have not left anything in the matter of loving affection. You can see yourself the true pictures of their love. 5. 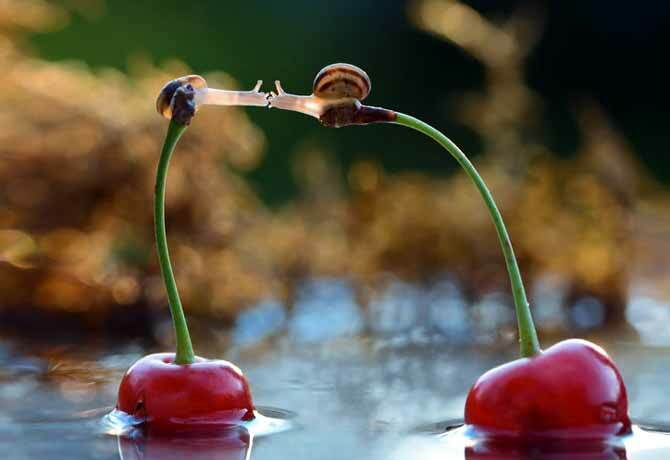 Snails found in the oceans and lakes can not live without the love of their mates. How cute is the kissing scene between these two. 4. 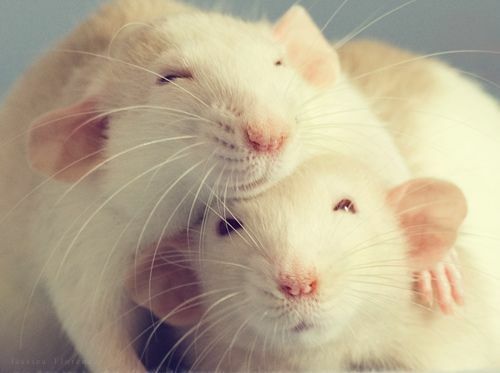 How much happier this rat couple is with each other. Seeing the fun of both of them, who will say that they do not love each other. 3. 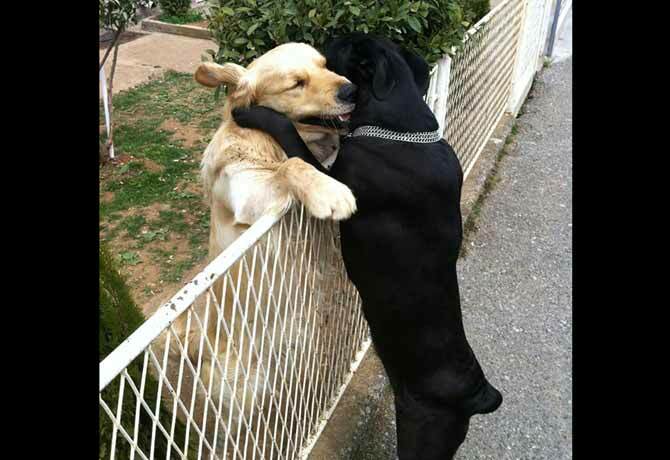 This wall can not stop from meeting this dog. It seems that after having in their homes for a long time, they have got a chance to meet them today, which they do not want to lose. 2. You may have seen birds preoccupied with each other , but the thing about the love of this cute bird kupal is something else. 1. Seeing the huge elephant, all the people are scared, but when you see the love of this Elephant couple, you will also love them.